What Kind of Search Would You Like To Do? Click the green button above to search the ARCHI UK database of 200,000+ British archaeological sites with a Postcode, Place or Co-ordinate and find UK Archaeological sites within 3, 5 or 10km of your postcode, place or co-ordinate. Narrow down your search by adding keywords such as 'Roman', 'Saxon', 'Castle', 'Temple', 'Stone Cirle', 'Roman Coin', Gold' and even 'Treasure' to find these kinds of sites in the UK! Discover a wealth of information with the free App's standard features such as lists of thousands of archaeological sites in your area. The lists include a description of incredible archaeological and historical sites and amazing treasure findspots. An upgrade to the app gives exact locations and links all of the sites in the ARCHI database to your phone's Sat/Nav and Satellite Navigation system (GPS system) and provide you with a route to travel to these sites. Type in the name of a country (Excluding the UK) and what you are searching for such as 'France Castle'. This will search the database of the positions of more than 200,000 archaeological sites and worldwide landscape features. Did you know that a place's name can often be an archaeological indicator of its ancient history? For example, most of us are familiar with the word Chester in a place names such as Manchester, Cirencester, Alcester and many others. Use this search to locate places in the UK which are likely to have a dense archaeology in and around them. Find old Ordnance Survey maps with your postcode, placename or co-ordinate - even your current location. The maps are free to view too! Whether you're at home on your laptop or outside with your mobile, the 'My Location' button will show you a map of wherever you are. The maps also show Roman roads. A set of 52 rare English County old maps dating from 1724, very old maps of Ireland and a Saxon map of London are here. The image gallery includes old photographs of archaeological, ancient and historic sites including the 1st ever aerial photographs of an archaeological site - Stonehenge from a ballon in 1906. Here you will find out how to use farmers' field names from 'Tithe Maps' to locate lost archaeological sites. There are also tips for metal detectorists and fieldwalkers to significantly increase your find rates. Once you do find treasure, a summary of the legal process you must follow is on this page. ARCHI UK is the database of more than 200,000 British Archaeological Sites covering the whole of England, Scotland and Wales. It is regularly updated with 10,000 new additions made to the database every year. If you haven't done so already, try a search now at www.archiuk.com/search and see for yourself why so many people are using ARCHI to research the ancient history of their area. I must congratulate you on ARCHI. It's a wonderful resource. Myself and Mo have used ARCHI UK almost since its inception by Chris Kutler many years ago. Obviously its even better today and is an amazing tool for the detectorist, beginner or expert. Brian Cross, Founder of UK Detectornet. I find ARCHI fascinating, looking at the old maps and the related archaeology to where I live and other places I'm interested in. I use the ARCHI website to note archaeological sites in an area when I'm planning a walk for the Doncaster Ramblers. In fact I've been researching such a walk today, the main feature being the mesolithic site at Deepcar. In other words, I love the site!. David from Doncaster, South Yorkshire. ARCHI Subscriber since 2009. Ray from Luton, Bedfordshire. ARCHI Subscriber since 2004. I cannot thank you enough for your time and dedication. It is a great service you provide and I keep recommending it to my friends! Andrew from Chiswick, London. ARCHI Subscriber since 2013. The cost of a year's subscription to the ARCHI UK database of UK Archaeological Sites is £34.95. You can subscribe with PayPal by clicking the PayPal Subscribe button below. If you don't have a PayPal account, you can set one up and subscribe by also clicking the Subscribe button below. A subscription to the ARCHI UK Archaeological and Historical Sites Index Service also includes an upgrade to the data available to the ARCHI Discover Archaeology App. This app gives you the added benefit of researching the 200,000+ sites when you are out fieldwalking too. The app links all of the sites in the ARCHI database to your phone's Sat/Nav and Satellite Navigation system (GPS system) and hence provides you with a route to travel to these sites. 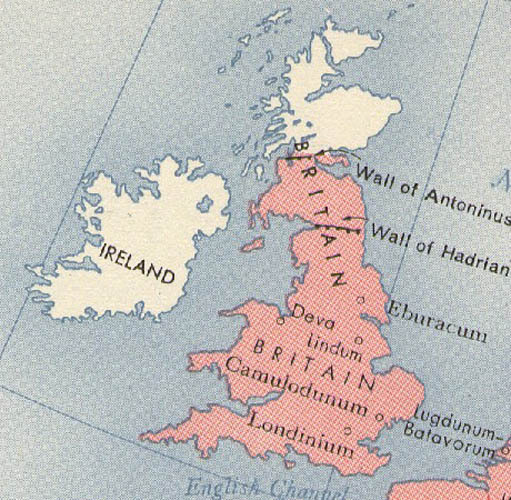 The precise locations of more than 50,000 Roman sites, 30,000 Iron Age / Celtic sites, 25,000 Bronze Age sites, nearly 20,000 Saxon sites, 50,000 medieval sites and many, many more ancient and miscellaneous sites are listed in the UK database. Plus there are links to road maps and aerial photographs showing the location of the sites on the ground. There's even an Android App too! Many beautiful and historically significant coins & artefacts and previously unknown ancient sites have already been found and reported by field walkers and metal detectorists who have used the ARCHI iUK database for their research. By subscribing to ARCHI UK you automatically gain quick and easy access to information on more than 200,000+ UK archaeological sites. Each record includes the map reference (co-ordinate) of each site with a link to a road map and an aerial photograph. In addition, the database also holds data on archaeologically significant field names and place-names from historical records such as the Tithe Apportionment lists and ancient documents. It is believed that ARCHI UK is the only database where this information can be searched via Postcodes, Places and Co-ordinates and accessed within an archaeological context. The ARCHI UK database (Archaeological Sites Index) contains details of sites mentioned in rare books and archaeological reports / surveys which are not easily found outside specialist libraries. The 200,000+ UK archaeological sites listed in the ARCHI UK (ARCHI UK) database come from published sources such as hundreds of archaeological reports, county archaeological journals, findspots reported by archaeologists, fieldwalkers and metal detectorists and treasure hunters who have previously reported their finds while treasure hunting. The data from a search links to aerial photographs of sites enabling you to view many fascinating cropmarks and pinpoint the exact locations of the sites recorded in the database on the ground. The field-name data is of special interest because it can lay the ground for the discovery of previously unknown historic and ancient sites and further our knowledge and understanding of Britain's history. There is continuous work on the development of new technical features designed to further simplify the the identification and location of existing and new archaeological sites in the UK. Further, every record is has direct links to an aerial photograph, a local road map showing the position of the site and also to a 19th Century Map showing the area of the site as it was. Note that public access to this database is not available anywhere else.t for one year. Also, you will be able to gain access to any new information for one year when it is added to the database for no extra cost. License: Personal, non-commercial or educational use for a single user only. Block subscriptions can be purchased for Academic institutions, clubs and societies and the subscription rate depends upon the number of users. See below for more information on multiple user subscriptions. Please contact us via e-mail at info@digital-documents.co.uk if you wish to purchase a block subscription. But don't forget to let us know the password you would like to use for the internet version of ARCHI UK. Multiple access to ARCHI UK is open to groups and institutions and the yearly subscription rate depends on the size of the faculty and the projected number of users. Club and Society subscriptions start at £95 per annum. Institutional online subscriptions start at £175 per annum. Institutions have the choice of accessing the data via a password or automatically through the institution's IP address(es). If you would like your group or institution to subscribe to ARCHI UK then ask your librarian or representative to e-mail us at info@digital-documents.co.uk. We accept payment either by cheque or PayPal. Click here to return to ARCHI UK's search page. Access to the full database is immediate if you subscribe online using the PayPal payment system. Otherwise your subscription will be activated within five working days after the time we receive your cheque payment. Treasure Hunting Front Cover: Metal Detecting vs Archaeology: Social Inclusion as opposed to Academic Exclusion? Archaeology UK has been created as a portal around the "ARCHI" database which we have developed since 1999. The database was initially constructed to address the lack of easily available information relating to the distrubution of archaeological sites. This was particularly evident during my time as a student of archaeology at Birkbeck College, University of London, UK. A well presented assignment would require a knowledge of the distribution of UK archaeological sites and how the landscape / geology / availability of materials etc could influence that distribution. However, one could not begin to discuss the latter without a knowledge of the former and as it was very difficult at the time to find the precise site locations within the literature, it was necessary to create my own database holding this information. This lack of information also contributed to a missed opportunity in the my early youth to "discover" archaeology. It was known that "somewhere" on the moors was a Roman Fort. This notion obviously inspired all sorts of imaginings and was a distraction from the sometimes grim reality of life on a council estate in a Northern town. However, despite attempts to find its location from teachers, the local library etc, myself nor my equally inspired friends could find out where it was. Hence, at least the opportunity to challenge the stereotypical view that a "gang" of kids from the town could only be up to no good was missed. The above are the initial reasons for ARCHI's conception, however, this initial concept became a labour of love and a desire for completeness. Further, technological advances such as the rise of the internet and the ability to integrate information from different databases hosted by different web sites coupled with my passion for all things archaeological, presented a challenge which could not be resisted. Hence, the continued development of the database. The data within ARCHI UK has been sourced from a wide range of publications ranging from specialist books to the "mainstream" archaeological journals such as Britannia, Council for British Archaeology Reports etc. Additionally, data has been sourced from archaeological surveys published by various Local Historical / Archaeological Societies and Field Groups. For a list of all the journal titles represented in ARCHI UK click here. A small but increasing number of records are "personal communications" from field walkers. However, we only publish these findspots on our site if the finder is known to us and hence we can personally validate the source. ARCHI UK has a worldwide reach. We have had subscriptions from British and American University Archaeology / History Departments, Schools, Archaeological Societies & Clubs, County Archaeology Departments, Archaeological Consultancies, Archaeology students and Hobbyists from Australia to Mexico. - to show you more relevant search results and ads. As you use our services, we want you to be clear how we're using information and the ways in which you can protect your privacy. - and if you have any questions contact us. - from figuring out basic stuff like which language you speak, to more complex things like which areas we shall update data in. - device event information such as crashes, system activity, hardware settings, browser type, browser language, the date and time of your request and referral URL. - Location information ?When you use ARCHI services, we may collect and process information about your actual location. We use various technologies to determine location, including IP address, GPS, and other sensors that may, for example, provide ARCHI with information on nearby devices, Wi-Fi access points and cell towers. - Local storage ?We may collect and store information (including personal information) locally on your device using mechanisms such as browser web storage (including HTML 5) and application data caches. When you contact ARCHI, we keep a record of your communication to help solve any issues you might be facing. We may use your email address to inform you about our services, such as letting you know about upcoming changes or improvements. ARCHI processes personal information on our servers in many countries around the world. We may process your personal information on a server located outside the country where you live. - unless we have to keep that information for legitimate business or legal purposes. When updating your personal information, we may ask you to verify your identity before we can act on your request. - With your consent We will share personal information with companies, organizations or individuals outside of ARCHI when we have your consent to do so. We require opt-in consent for the sharing of any sensitive personal information. -	meet any applicable law, regulation, legal process or enforceable governmental request. -	enforce applicable Terms of Service, including investigation of potential violations. -	detect, prevent, or otherwise address fraud, security or technical issues. -	protect against harm to the rights, property or safety of ARCHI, our users or the public as required or permitted by law. - like publishers, advertisers or connected sites. For example, we may share information publicly to show trends about the general use of our services. - We review our information collection, storage and processing practices, including physical security measures, to guard against unauthorized access to systems. - We restrict access to personal information to ARCHI employees, contractors and agents who need to know that information in order to process it for us, and who are subject to strict contractual confidentiality obligations and may be disciplined or terminated if they fail to meet these obligations.